A “Class of 1963” charter inductee, Art Chapman played with Providence from 1928 to 1930. In those 2 seasons, he garnered 73 points and 40 goals in a total of 77 games. Chapman was also a member of the Red’s Fontaine Cup championship team in 1929-1930. He had also won the Fontaine Cup with Springfield in 1927. During his NHL career, he was often criticized for playing too defensively. Nevertheless, through 10 NHL campaigns from 1930 to 1940, Chapman tallied 238 points and 176 assists in 438 games. 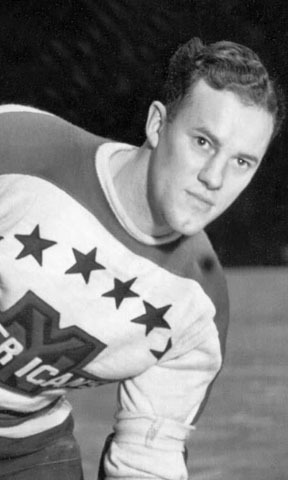 In 1943, Chapman began coaching with Buffalo in the American Hockey league (AHL). He coached the Bisons to back-to-back Calder Cups in 1942-43 and 1943-44. Art was inducted into the Manitoba Hockey Hall of Fame in 1985.